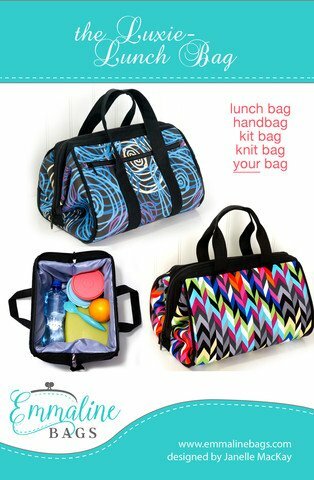 Carry your lunch, make-up, overnight items, or the entire contents of your handbag in luxury. 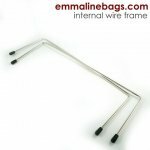 This is a versatile project that features a wire frame that helps hold the top open wide for easy access. Is it a handbag or a lunch bag? You decide! Customize the zipped bag to suit your needs by choosing from 2 handle styles, and adding the optional outside zipper pocket. his pattern is suitable for an advanced beginner to intermediate sewer. Pattern instructions are provided in both imperial and metric measurements and are geared towards an intermediate sewer. Measurements are given to cut pattern pieces with a rotary cutter, ruler and mat.